Government to regulate all land in eastern Jerusalem by 2025, easing issuing of construction permits for all residents. The government approved the planning and registration plan for eastern Jerusalem, which will be implemented by the Land Registry and Land Registry Department of the Justice Ministry. 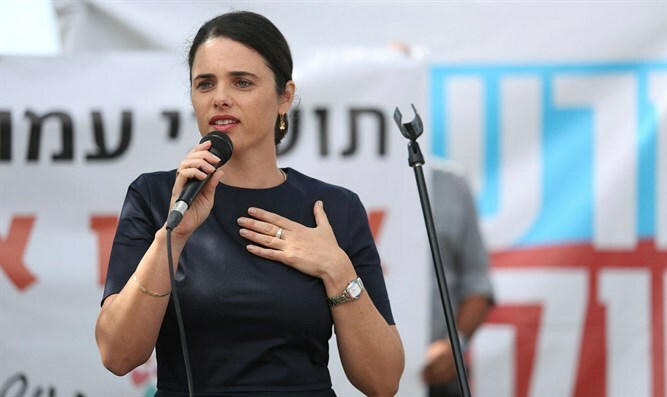 Justice Minister Ayelet Shaked launched the move a year ago in cooperation with the Jerusalem municipality. The justice minister's office said that this was the first practical application of sovereignty since the State of Israel's decision to extend sovereignty in east Jerusalem following the liberation and reunification of the holy city in 1967. In addition, residents of the area will also benefit from the land arrangement. As part of the land arrangement, anyone claiming ownership of the land can file a claim with the Settlement Officer.If conflicting claims are received, the proceedings will be referred to the court for decision, as required by law. The government will allocate NIS 50 millison ($14 million) for this plan. The regulation of land registration will be accompanied by a team headed by the Director General of the Justice Ministry and attended by representatives of the relevant ministries. At the same time, a team will be established, headed by the chief of the planning department of the Finance Ministry, with the participation of representatives of the relevant ministries, including the Justice Ministry. Its purpose will be to examine ways to prevent and resolve barriers in the area of ​​planning and the connection of water and sewage systems to eastern Jerusalem neighborhoods. As part of the plan, industrial zones of no less than 260 dunams (64 acres) will also be established. The Jerusalem and Heritage Office will operate a public cooperation team that will be responsible for carrying out the implementation of the decision by agreement with residents of eastern Jerusalem. Justice Minister Shaked said that "the day before the strengthening of Jerusalem through the transfer of the American embassy to Jerusalem, and after decades of Israeli sovereignty in eastern Jerusalem, we are strengthening the city and actually applying sovereignty through the program of land regulation in East Jerusalem, as exists elsewhere in Israel. Moreover, this is also important for the residents of East Jerusalem: In the absence of such a move, the owners of the land rights are prevented from exercising their right to it, including the issuing building permits. Here sovereignty and the welfare of the residents come together."